Flips & Spins | Mac App Storeのアプリ検索・ランキング BuzzMac! A set of technical how-tos for the advanced skateboarder. Top Canadian riders, Cory Wilson and Desmond Hoostie, take you through everything you need to know to improve your technical skills. An in-depth look at each trick helps you know step-by-step how to position your feet on the board, execute the trick, and ride away clean. 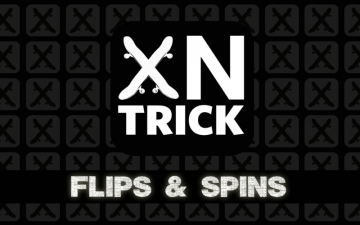 From improving and learning tech basics like nollies and flips to advanced spins and flips.